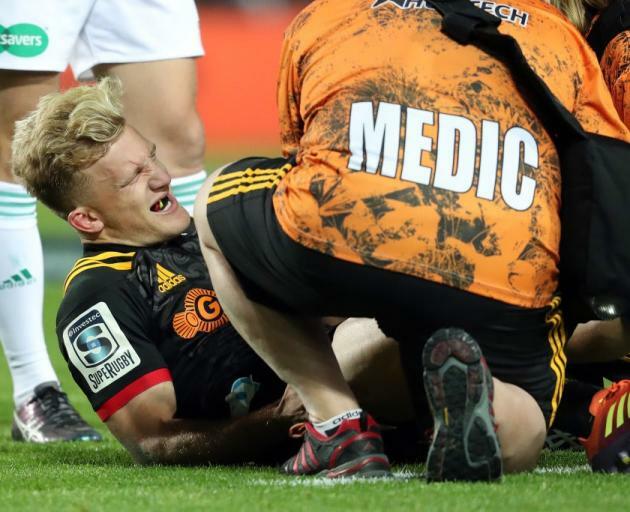 The New Zealand All Blacks have been dealt a huge blow with the news that Damian McKenzie has ruptured his ACL and is ruled out of the upcoming Rugby World Cup. McKenzie, who plays at fullback or flyhalf, has been a key figure in the two-playmaker structure New Zealand has fostered in recent seasons. However, Hansen said an agreement with New Zealand Rugby and the five Kiwi Super Rugby franchises around the foundation days - another will be held in Auckland on May 20 for the North Island players and in Christchurch on June 3 for the South Islanders - meant only those involved with the All Blacks previous year could be included. "It's sad for him obviously". The Chiefs fullback was helped from the field in the second half of the Chiefs' win 33-29 over the Blues in Hamilton on Saturday. It creates another opportunity for somebody else. "We've got to expect injuries and there will be more than just him I'd say". Hansen said the selectors had made a decision to invite only players involved in the All Blacks' 2018 campaign.